The texture file for this look is not currently attached to this model, but would work perfectly if copied to it. We include it here out of interest. 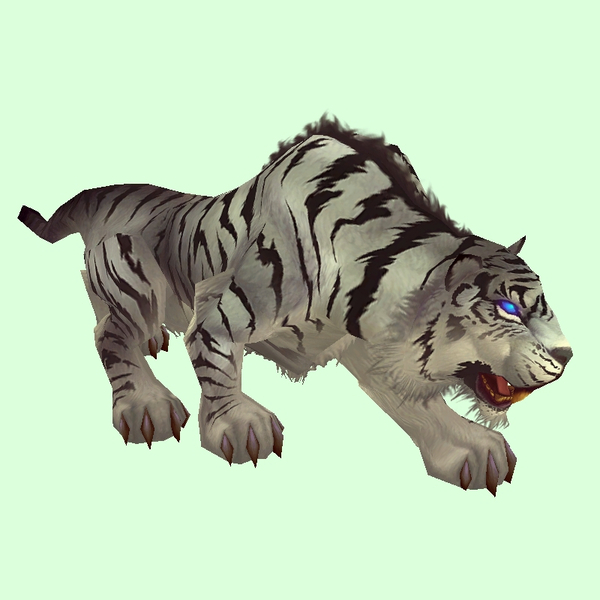 The texture's current location in the game database is: Creature/WarNightSaberMount/WarNightSaberMount_Creature.blp. The texture was used for the Vicious Warsaber mount. It's possible that its no longer available in a format usable by the non-mount model, but hopefully the file still exists.